It’s that time of year again. There’s a bite in the air, a palpable excitement and the streets are full of panicked, last-minute shoppers. Shoppers buying fireworks, because, just to clarify, we’re not talking about Christmas: tonight is Bonfire Night. 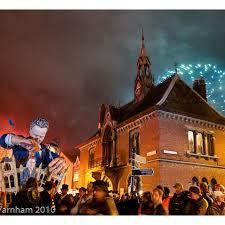 For Lewes locals, Bonfire night is the biggest and brightest night of the calendar year. It’s a night of acrid smoke and anarchy, pubs serving pints out of windows, and an opportunity to set a torch to David Cameron without getting yourself arrested. 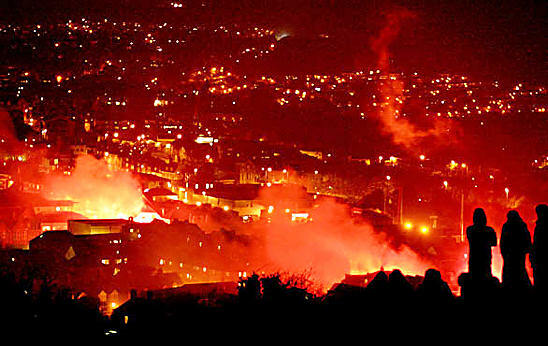 It’s the biggest celebration of Bonfire night in the whole world, and the Lewes’ population swells to a whopping 70,000 revellers. 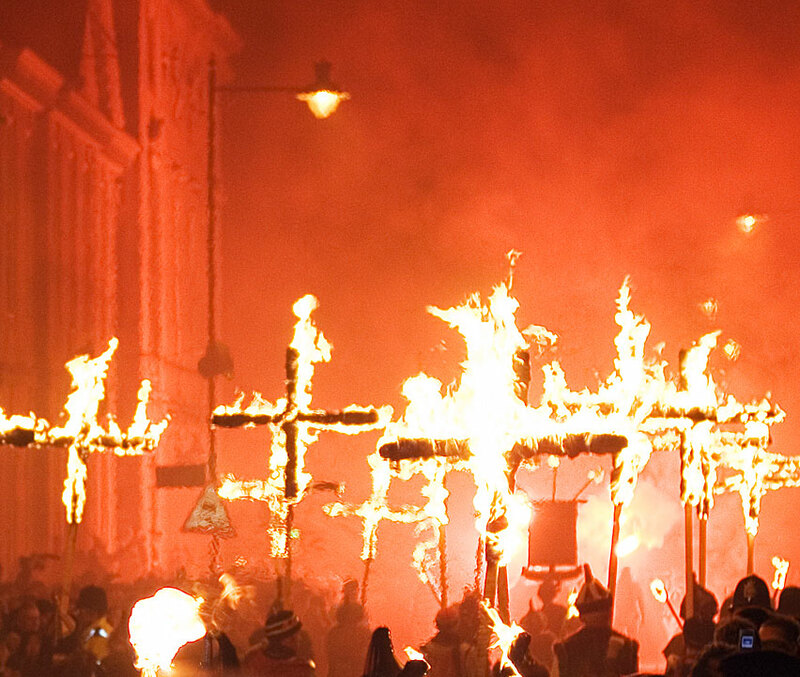 The town shuts down as the seven Lewesian Bonfire societies, joined by the best from the rest of Sussex, parade burning crosses through the cobbled streets, throwing rookies at each other – and the gleeful crowd – with complete disregard for anything remotely concerning health and safety. Aside from commemorating Guy Fawkes et al, on this night Lewes also remembers the seventeen protestant martyrs burned at the stake during the Reformation of the church – so don’t be surprised if you spot an elephantine Pope made of papier-mache as he’s marched to a firey end. 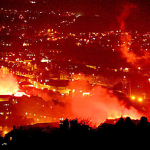 For more on “No Popery” and fire-based Lewesian traditions, see here. Bonfire night is a night for chaos and carnival, blasphemy and bangers, toffee apples, ale and stinging your fingers on a sparkle. And, in our town, it’s not for the faint-hearted. Can you tell that we’re excited?